Hey Guys, how’s everyone doing today? The countdown begins as we are less than a month from San Diego Comic Con. A few exciting stories (mainly concerning Marvel’s creative teams post-Avengers Vs. X-Men) are starting to make their way to the surface. As Four New DC Titles are Announced, Four DC Titles Are Cancelled. Courtesy of SuperHeroHype. Last week we learned of four new titles will be joining the DC’s “New 52.” That means that four titles are getting cancelled to maintain the magic number 52. Here are the books we will be saying good bye to come September. • Five all-new adventures featuring the Blackhawks’ Mother Machine, Hawk and Dove, Mister Terrific and O.M.A.C. in this super-sized issue! 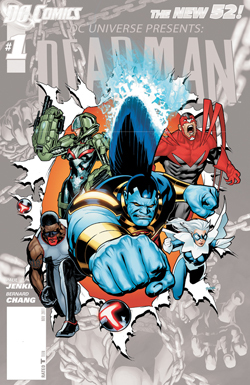 • Featuring the beginning of storylines that will play out across the entire New 52! • The truth about Pris is revealed at last as she sets off on a mission for vengeance that can only end in genocide! • Captain Nathaniel Adam volunteers for a dangerous experiment that will make him one of the most powerful heroes in the DC Universe! • How much can man lose before he is no longer human? • Mitch Shelley discovers the truth of his existence, and even the ability to return from the dead won’t save him! I’m sad to see DC Universe Presents go away. I liked the idea of a rotating anthology series. It allowed lesser known/popular characters who can’t support an ongoing series to get some exposure. How do you guys feel? are you sad to see these books go? Batman Makes His Way To Smallville Season 11 and Look Who is coming with Him. This week the September Solicitations were released and in them we learned that Batman would finally be making his way to the Smallville universe. Debuting this August in DC’s digital first series Smallville Season 11 the world’s finest duo will meet in an arc entitled “Detective.” That’s not all Batman is not going to be alone when he arrives his ever faithful sidekick will be in tow…Nightwing a.k.a….Stephanie Brown??? Fans of the character (myself included) were devastated when Ms. Brown was retconned out of existence with the “New 52.” It’s nice to see her return to a DC Universe, and with a promotion to boot. 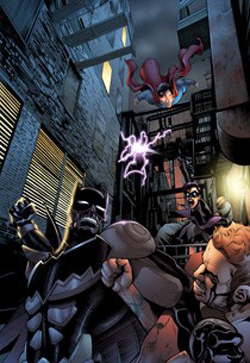 Series writer Bryan Q Miller knows the character better than anyone considering he wrote Brown’s time as Batgirl in the all to shortly lived Batgirl series. Miller talked with TV Guide about his choice to put Stephanie in the Nightwing costume. This is a smart choice by Miller and DC and I hope it might inspire DC to return Stephanie to the DC Universe proper. 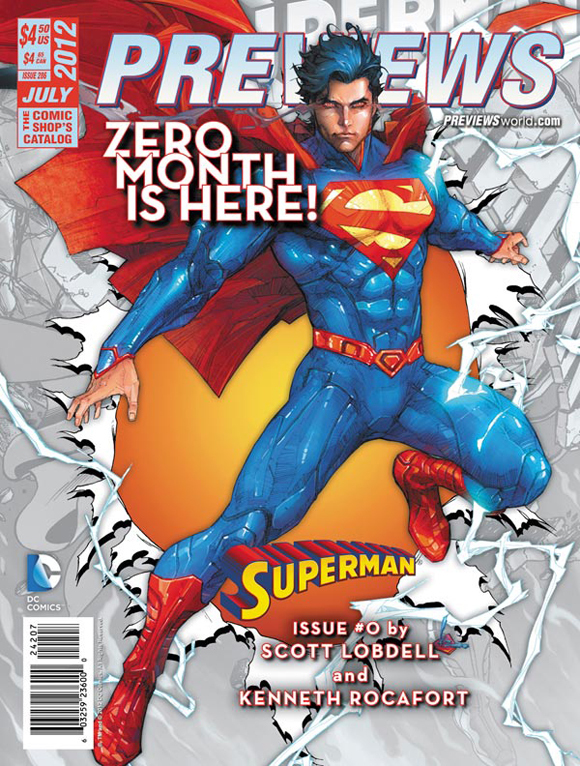 Scott Lobdell and Kenneth Rocafort are the New Superman Creative Team. Yes, I turned in a 25 page pitch for the series that examined every aspect of Superman, his friends, his enemies and over a dozen story ideas… but I’ve found over the years that the series often takes on a life of its own once the characters and the conflicts and the interactions start to show up on the page. Just imagine how boring it would be if you sat down and told me exactly how your life was going to play out every month for the next 12 months — who you were going to meet, what you were going to say, how they were going to act, what super powers you were going to use to defeat them? Then imagine the likelihood that your life would play out exactly the way you predicted it would over the course of the next twelve months. This is an interesting choice for DC, Lobdell can be a divisive writer for fans and he and Rocafort would be the third creative team in just over a year. One thing you can’t argue is is Rocafort’s artwork is stunning. He has one of my favorite takes on the new Superman costume yet. Marvel Creative Teams Play Post AVX Musical Chairs??? It’s fairly common for Marvel Comics to switch things up after their big events, whether that means launching new titles or new creative teams in the aftermath of the chaos resulting from the devastation and death of the world/universe ending threat our heroes have had to defeat. According to Rich Johnston at Bleeding Cool who is right more often than wrong it looks like Marvel is planning it’s biggest shake up in a very long time. Here are some of the changes that maybe in store. Again take these with a grain of salt. While this is not a reboot like DC’S New 52 if it is true this could be a very different Marvel Universe come fall. Courtesy of Comingsoon.net. Check out our best looks at the costumes from Zack Snyder’s Man of Steel. 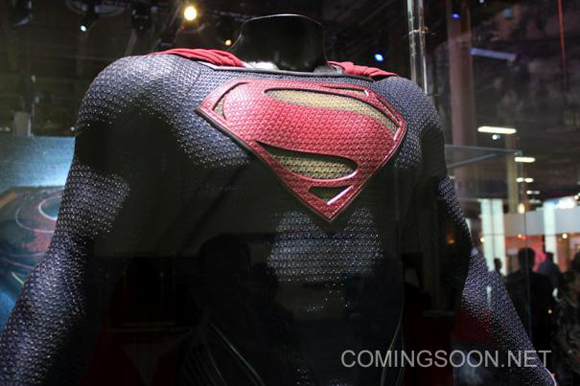 Warner Bros. had Superman, Jor-El and Zod’s ally Faora’s costumes on display at the 2012 Licensing Expo. I really dig the new Superman costume it’s modern and keeps all the elements of the classic suit. Man of Steel hits theaters June 14th 2013. Well there you have it guys. Enjoy your weekend and I will see you all here this time next week for an all new installment of The Impact.